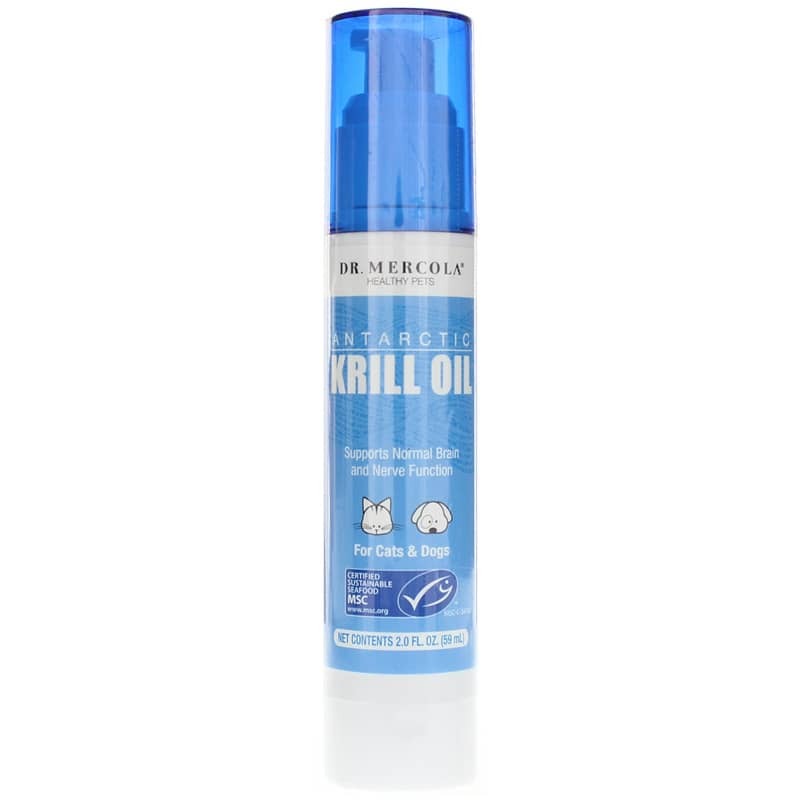 Dr Mercola Krill Oil for Cats & Dogs provides a rich source of essential omega-3 fatty acids to support your pet's health. And that is just what you can see. Fatty acids may be important not only for your pet's skin, coat, and eyes, but also for their immune health, as well as for healthy growth and development. 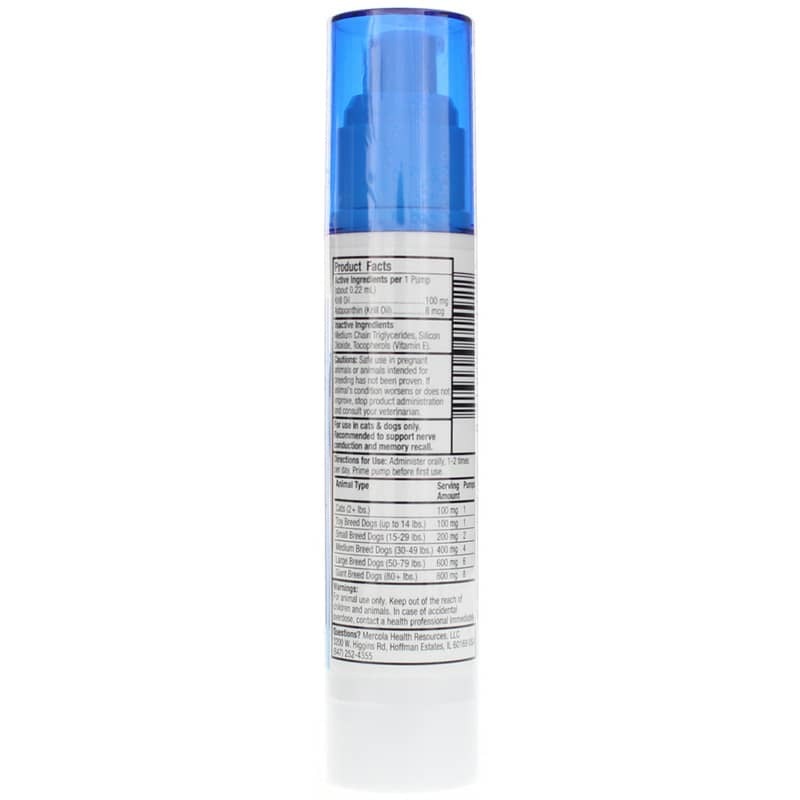 Medium Chain Triglycerides, Silicon Dioxide, Tocopherols (Vitamin E). For use in cats & dogs only. Recommended to support nerve conduction and memory recall.